With a gospel choir, black cellist and bishop, Oprah, Serena and Idris Elba in the audience and an African-American mother-of-the-bride, Saturday's wedding of Prince Harry to American actress Meghan Markle was a blend of the solemn and the soulful. "This was black history," said Joy Widgeon, who attended a house party in Burlington, New Jersey, with her 6- and 8-year-old daughters in tow. 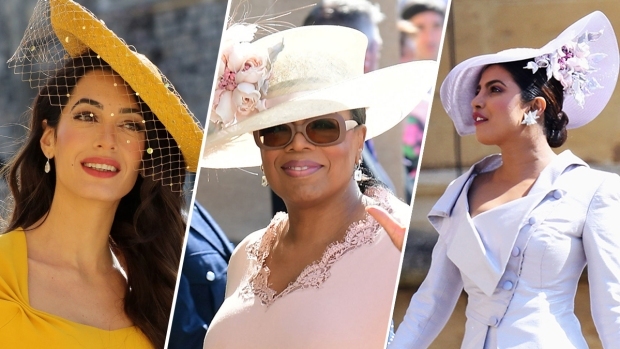 "African-Americans were front and center at the royal wedding. This was the first time, and hopefully it won't be the last. I am here for it." Race has loomed over the couple's relationship from the beginning. After the pair went public in 2016, Harry lashed out in a public statement at what he described as "racial undertones" in media coverage and overt racism toward his then-girlfriend, who has lamented such views. At the announcement of their engagement last fall, many black women around the world cheered the news as a fairytale that doesn't always include them. A diverse group of about 20 — mostly black women — gathered before dawn on the rainy Saturday at a house party in Burlington, New Jersey. They were among the scores of African-Americans and British Americans participating in the global event in person, at home and online. 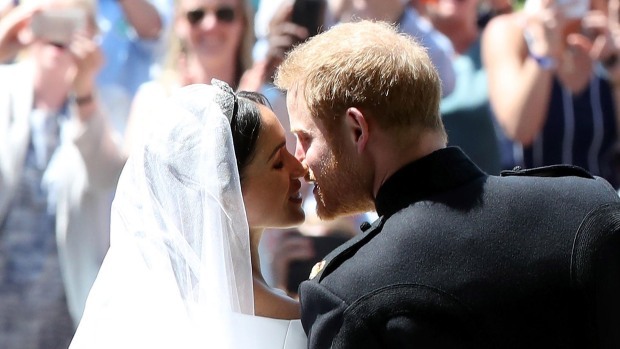 Decorated with a banner reading "Congratulations Harry and Meghan!," with the bride's biography on a nearby table and glasses of tea and mimosas and the smell of breakfast cooking in the background, the guests gathered in two rooms. 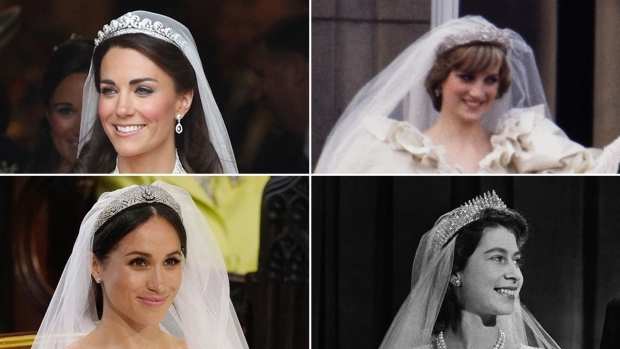 "We were keen to see who was going to look like us," said socialite David Alexander Jenkins, who has ridden horses in the same Windsor countryside where the wedding was held. As Markle emerged from the burgundy Rolls Royce that brought her to St. George's Chapel, Paula Jackson gasped with approval. "Oh, she looks lovely! Gorgeous! Beautiful!" Jackson exclaimed, wearing a jeweled blazer and sparkling tiara, sitting on a couch with a spot marked on a note in capital letters: RESERVED FOR THE QUEEN. "I'm just so happy for her," Jackson said of Markle. "She will be an example for our young African-American women." "He brought a little bit of Southern Baptist America to Europe," said Byrd, of Philadelphia. "You know what I love about all of this? She's adding a little spice to the royal family." The bride personally called to invite 19-year-old cellist Sheku Kanneh-Mason, who is black, to play at the wedding after Prince Harry saw him perform at a London event supporting an Antiguan charity. The diverse, Christian gospel group Kingdom Choir performed a stirring rendition of Ben E. King's "Stand By Me." Church hats — a shared tradition in black and British culture — were a fashion highlight. And Markle's dress, designed by Givenchy, was reminiscent of the dress Princess Angela of Liechtenstein wore when she wed Prince Maximillian in their groundbreaking January 2000 ceremony. Sanya Brown, already a fan of the royals who watched Princess Diana's funeral, as well as Prince William's wedding to Kate Middleton, initially planned to watch alone in her pajamas, but made a last-minute decision this week to watch with a girlfriend at her house in the west Philadelphia suburb of Wynnefield. "In the time of the 'black girl magic' moment we are currently living in ... for this black girl from Los Angeles to be marrying into the royal family is a really dope and historic moment, so why not have that with someone and celebrate her magic?" she explained. "We've seen (Harry), but never like this," Brown said. "This is different. She is different."